According to The Hollywood Reporter, Sony is in “early talks” to launch a reboot of classic NBC sitcom The Facts Of Life. No network is attached and the studio is still looking for a writer, though, so this seems more like one of those things that would just be easier than developing an entirely new TV show. Leonardo DiCaprio and Jessica Biel are also reportedly in early talks with Sony about this, but they’re apparently just interested in producing (through their Appian Way and Ocean Films production companies) than actually starring or writing or whatever. 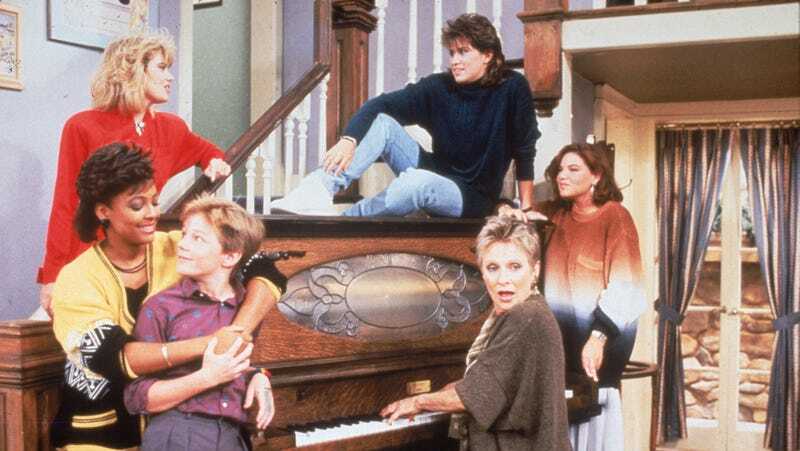 The original series starred Charlotte Rai, Lisa Whelchel, Kim Fields, Mandy Cohn, and Nancy McKeon, and it centered on some students at an all-girls school in New York. It ran for nine seasons and had a catchy theme song, so the fact that it was pretty popular once is all the information you need in order to understand why Sony wants to bring it back.